Typography for Bible Journalers class celebrates our own handwriting – helping us to clean it up a little and learn some design techniques for laying out text on our Bible journaling pages! 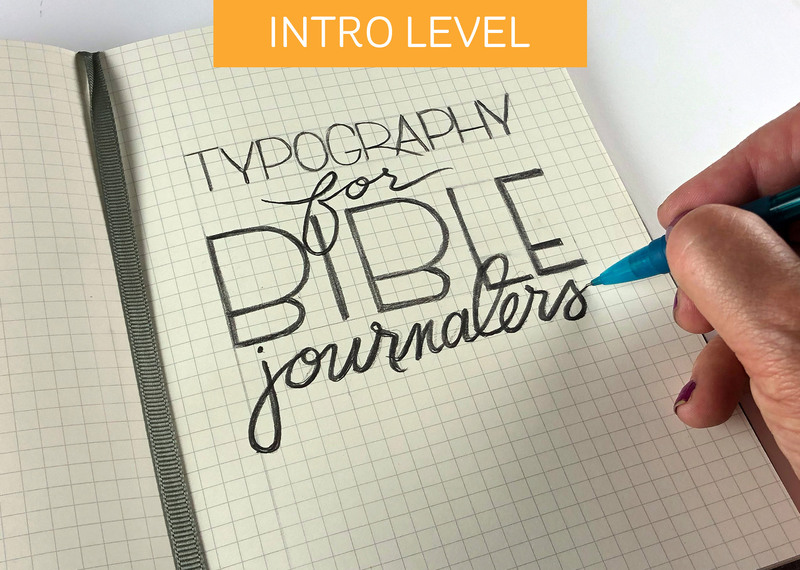 Class is conducted within a simple grid notebook — and the class can be taken without turning text into Bible journaling pages. For some it may just be a relaxing method to meditate on Scriptures while doodling text!